"I think every manager feels that loneliness," Ryan Giggs says as he identifies the usually unspoken difficulty at the core of his work. 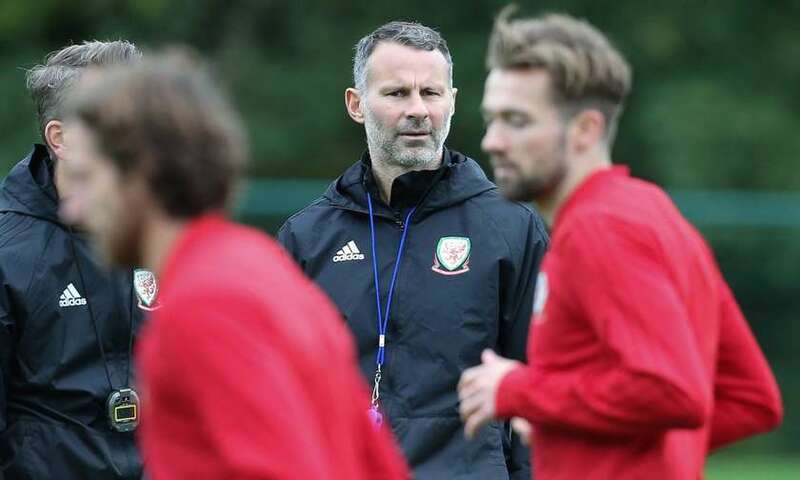 The manager of Wales since January 2018, Giggs has had nine games to get used to the isolation. "I'm lucky to have great staff around me and, during the week, you're constantly in meetings and on the training ground. But it's that hour before the game, when the coaches take the lads out to warm up, that you feel it. You're alone in the dressing room and you've done everything you can. That's a lonely time. There's nothing left to do. You're on your own." We sit in a hotel room overlooking Old Trafford. Giggs won 13 Premier League titles and two Champions League finals as a player for Manchester United, the club with whom he was associated for 29 years from a boy to an icon who took charge as a caretaker manager for four matches in 2014. Giggs, who then became Louis van Gaal's assistant for two seasons, finally left United in July 2016. Eighteen months later, bruised by the even more intense loneliness of looking for work in football, Giggs was appointed as manager of Wales. Last September, in his first home game, Wales produced a vibrant display of the attacking football Giggs epitomised as a player. They swaggered past the Republic of Ireland, winning 4-1 in an exhilarating and clinical performance. Yet, in their most recent match, Wales lost to Albania, 42 places below them in the world rankings. Unlike a club manager Giggs has had to reflect on that loss for nearly three months. "It is difficult having such a long break. That's the tough part about international football. But I keep in contact with the players and yesterday I got the lads together for a little debrief in London and to make sure we're looking forward to the [Euro 2020] qualifiers in March. When it's September, October, November, you're on a roll. But this gap between games is big. You can see why some managers miss that day-to-day contact. The difference is that I was never a [permanent] club manager. I've gone straight into international football." Statistics can be misleading but, under Giggs, Wales have lost five of nine games. "If we'd have beaten Albania, I would have called it a successful year," Giggs says. "But we played Spain, Uruguay, Mexico. Denmark twice. Almost all in the world's top 10. We used experimental squads, experimental systems. So we've used this first year to see what we've got while looking forward to the Euros. Against Albania we actually played really well first half. We should have won 3-0 but missed easy chances. Then they get a penalty which may not have been one. But sometimes you learn a lot more from defeats." A crunch period is looming. On 24 March Wales face Slovakia in Cardiff. It is their opening match in a qualifying group that includes the World Cup finalists Croatia as well as Hungary, Belarus and Azerbaijan. "We need a good start against our main rivals because, after Croatia, I would say it could be between us and Slovakia. They have a new manager but they've got talented players. Marek Hamsik stands out. He just broke the goalscoring record for Napoli, overtaking Diego Maradona. So this first game against Slovakia is a big one." Old Trafford does not cast any shadows on a rainy day. But it's hard to escape the club that has dominated Giggs's life. He joined United on his 14th birthday and played his last game aged 40. Giggs admits he shed tears in his car after his retirement was confirmed following the final match he was in charge of United as caretaker manager – against Southampton in May 2014. "I'd had three weeks in the job and I put myself under so much pressure. I felt the players had given a lot and my own playing career was over. It was also not knowing what was next. So when I got in the car all my emotion came out." He is much more relaxed now. 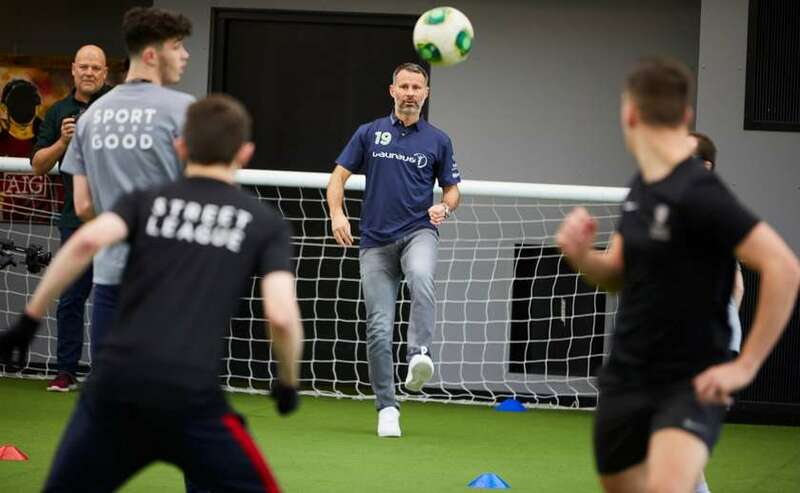 During a morning in which he runs a session with young men from the Laureus-supported Street League programme, which uses football to help people get back into employment and education, Giggs is impressive. As a Laureus academy member he is an engaging communicator – whether encouraging the men to stay true to themselves or answering their questions. When asked to name the best player he faced he helps the group feel as if they are in the tunnel next to an imposing Zinedine Zidane – and out on the pitch as he describes the Frenchman's strength and balletic skills. But he always comes back to them and tries to boost their self-belief. Giggs explains that, after leaving United, he needed the help of a psychologist to restructure his life. "It helped fill the gaps of what I was going to do day-to-day. From leaving school, until 42, I'd done the same thing every day. So it was more the structure and preparing myself for life away from United – rather than any mental issues. It was trying to find something to help me get through the day, the week, the month, the year. If you're finishing the same thing you've done for 25 years, it's quite scary. But I soon realised there's a life outside football, I had a good 18 months travelling, doing TV work, spending more time with the kids." Until United were, in Solskjær's words, given a "reality check" with their 2-0 home defeat by PSG in the Champions League this past week, there had been a resurgence at Old Trafford. After the moribund rule of Mourinho, surely part of Giggs must wish he could have been the former player to galvanise his old club? "No, not really. It might have been different if I wasn't the Welsh coach. Ole's done a fantastic job. I've obviously been in touch with him and he's given players freedom and also done well tactically. The confidence is huge. He's got smiles back on their faces." This interview takes place before the game against PSG and Giggs does warn of "bumps in the road". 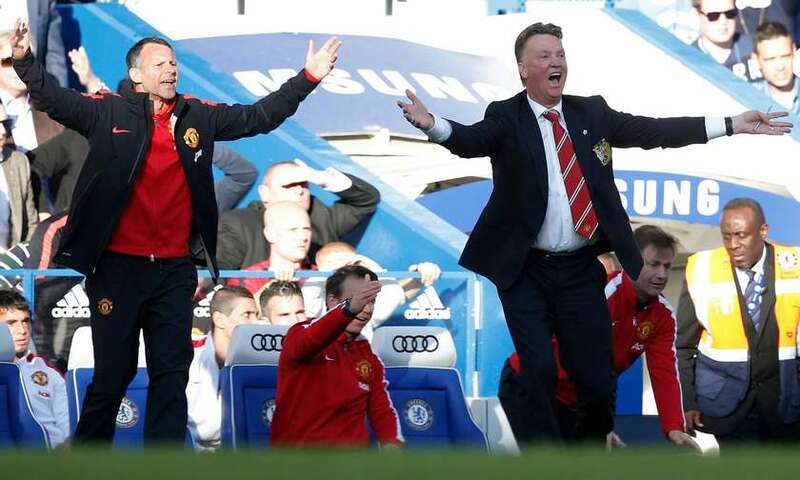 But when they played together, did Solskjær appear to have managerial potential? "Yeah, he did. He's got that steely determination, because he's been through a lot. When he was young he went to a different country. He had huge success but he was not always picked. He studied the game while he had a bad injury and then he coached at the club. So I always thought he had that potential because he knows the game and has that inner steel." If it is Ole, keep it among the club and start planning. Our problem the past few years is we were always playing catch up. Does Giggs believe Solskjær should become United's permanent manager? "I do. We've messed around far too long. When you've got someone who knows the club, who is tactically astute, clearly has the players and fans on board, that gives you lots of momentum. There will be bumps in the road but most fans imagine what he could do with the money that's been spent the last few years." It sounds as if Giggs would like Solskjær's appointment to be made immediately? "I wouldn't be in any rush because you don't want to derail the current situation. Planning is more important than the announcement. Look at Guardiola. He got in Man City players he wanted the year before he took over. So, if it is Ole, keep it amongst the club and start planning. Our problem the past few years is that we were always playing catch-up. We should identify the two or three players we need if we're going to win the Premier League and Champions League." Did the United hierarchy ever intimate to Giggs he would become the permanent manager? "No, it was more Louis [van Gaal] who said it. You know how Louis is. He told Ed Woodward [United's executive vice-chairman]: ‘I will be manager for three years and then Ryan will take over.' [Giggs laughs.] Typical Louis. No one else made me any promises. I didn't think I was ready when I finished playing but, after working with Louis, I felt more than prepared. I know it didn't work out for United but Louis was brilliant for me because he is a teacher." Giggs struggled, understandably, after being out of work so long. "I don't think young coaches in the UK get enough chances. You've seen Frank Lampard and Steven Gerrard do well but there was a cycle of the same people getting the same jobs. There is also the culture where, three months into the season, a manager is fired. How do you appoint a young coach, who's not got any experience, to a struggling side? I understand but it's like young players – you never know what they're capable of until you give them the chance. I believe ex-players who have prepared themselves well should be given a chance. "When I went for the Swansea job it was difficult. I felt that everything went well but it was the manner of finding out – on Sky Sports – I hadn't got the job. That's not the way to treat people. "I did get disheartened because I was out for 18 months and the longer it goes on, the more you think you're never going to get back in. "But you still pick up knowledge. I remember going to the BBC Sports Personality award and it was a short walk, but a slow queue, from the hotel. I walked with Lawrie McMenemy [the former Southampton manager] and he said: ‘The lower you go down, the more you coach. The higher you go up, the more you manage.' It was an interesting insight and I took it on board. Coaching is not a problem and I worked with the players every day as Louis' assistant. But managing – making decisions and dealing with players – suits me." The loneliness of management seems a distant problem now, particularly after a morning when Giggs was besieged with requests for selfies. "It's still the same," he says with a smile. "The only difference is, rather than the kids, it's mums and dads asking for a selfie. The kids look at the photo and say: ‘Who's this?' or: ‘You used to play for United, right?' I also get: ‘Did you play with Ronaldo? Do you know Rashford?' I don't mind. I'm a manager now."